Some trends come and go. Some get absorbed into the mainstream. A few years ago, a trend of robust beer styles with prefixes like imperial and double proliferated the marketplace (and our refrigerators). Craft beer drinkers, in their constant pursuit of flavor, accepted the consumption limitations that these big, strong beers placed upon them. Drinking fewer yet better beers is one of the tenets of craft brewing. It’s a really nice concept—one that in practice is applicable to many beer drinking situations, which is why the imperials and doubles are still on tap and still on the shelf in stores. Yet beer is a social beverage, and some social situations and events last longer than the time it takes to drink one or two double India pale ales. So, what is a moderation-minded beer drinker to do during these all-afternoon or all-evening events? 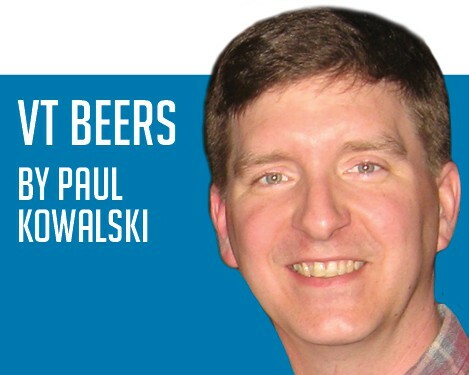 The answer: session beers… beers intentionally brewed to a low-to-moderate alcohol content (usually 5 percent ABV or less), which are flavorful enough to keep one interested in what they’re drinking. The idea is not new. For centuries, people in Europe and Colonial America drank low-alcohol “small beer” with every meal, as it was known to be safer to drink than most sources of water were. The science would not be understood until the early 19th Century—that bacteria can make us sick, that boiling water kills them, and that the presence of alcohol in a drink deters bacterial growth in it. The noted British beer author Michael Jackson said in one of his early books, “Every beer has its place and time at the table.” Session beer is for when one plans to sit at the table for quite a while. To put it another way, it’s the beer to have when you’re having more than one. For this tasting, I invited another old friend. Scott Shirley’s brewing career includes time at Long Trail Brewing Company, Tuckerman Brewing Company in New Hampshire, and for many years now, at the Harpoon Brewery in Windsor where he serves as head brewer. Our pick of the week is a session beer from Otter Creek. Over Easy is a recent addition to Otter Creek Brewing Company’s year-round line-up. Session beer is not really a style, or even a definable sub-style. Rather, it’s more of a descriptive term, as flavor profiles for session beers can run the gamut from malty to hoppy. To be a session beer, or to be “sessionable” as some like to say, a beer must simply meet those two criteria: low-to-moderate alcohol content, and pleasing enough in flavor that the consumer doesn’t get bored after having one or two. A great many existing beers could be called sessionable, and recent entries into this category were designed with the intent of packing a lot of flavor into a mildly alcoholic brew. For our tasting, Scott Shirley and I settled into some comfortable chairs in a quiet place at the Harpoon Brewery, and poured some Over Easy into a pair of tasting glasses. It poured pale yellow, straw-colored. “Slightly hazy, with a golden hue,” were Shirley’s first comments. I found the carbonation level to be fairly low, with low head retention. Shirley noted that this is a fairly common characteristic of session beers. Still pleasing to the eye, I wanted to take that first sip, but paused to take in the aroma first. “Really nice, fruity hop aroma,” said Shirley. I agreed. Hop flavors dominate the overall flavor profile, with barley providing a minimal infrastructure on which to hang those hops. Among other things, barley contributes sugars to a beer. Some of those sugars are consumed by the yeast during fermentation, which results in ethyl alcohol, and some (non-fermentable) sugars remain to contribute to sweetness and richness (if any) in the end product. Less barley in a beer means less alcohol, and less sweetness and body. The result, in beers like Over Easy, is a refreshing, light-bodied, hop-focused beer… a session beer for hop fans. With a low level of sweetness, I found Over Easy to have an earthy, spicy taste. “The IBU assessment includes polyphenols which can be perceived as bitter or adding to bitterness, but aren’t alpha acids themselves, so IBU is not truly an alpha acid parts per million count,” Scott Shirley noted. “The finish is dry because of the total amount of hop flavor, low ABV and probably a low terminal gravity. The word, ‘malty’ does not come to mind as I taste this beer. It’s not as satiating as, say, an IPA, but leaves that flavor… kinda grapefruity,” he concluded. On their website, Otter Creek brewmaster Mike Gearhart notes the use of Amarillo, Mozaic and Cascade hops in Over Easy. The Amarillo hops, used for bittering, also add some citrus notes to complement the grapefruit characteristics of Cascade, added near the end of the boil for its aromatic qualities. Mozaic is a fairly new hop variety that contributed the earthy, spicy character that we found in the flavor. Pour one or more for yourself, and see if you agree! Cheers!